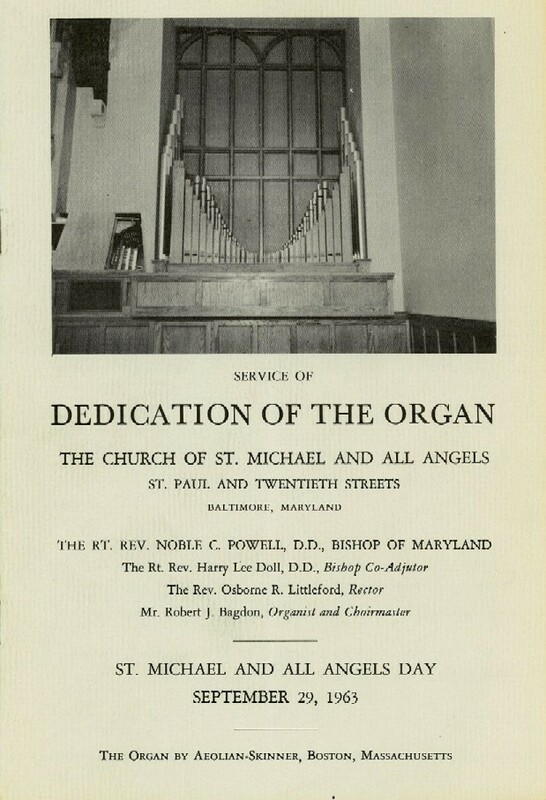 Builder:        Aeolian-Skinner Organ Co., Inc.
Notes: St. Michael and All Angels Church was founded as a mission in 1874. 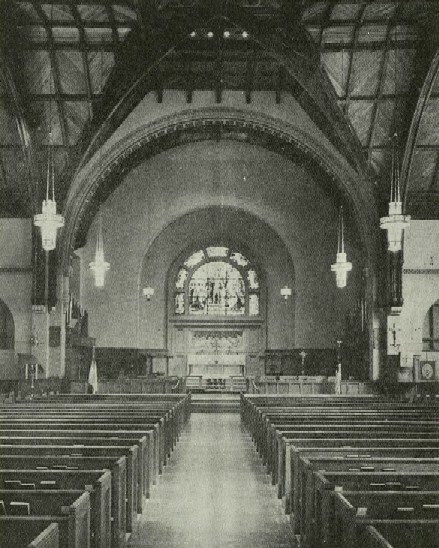 The present Richardsonion building was begin in 1877, opened in 1880 and enlarged in 1890. 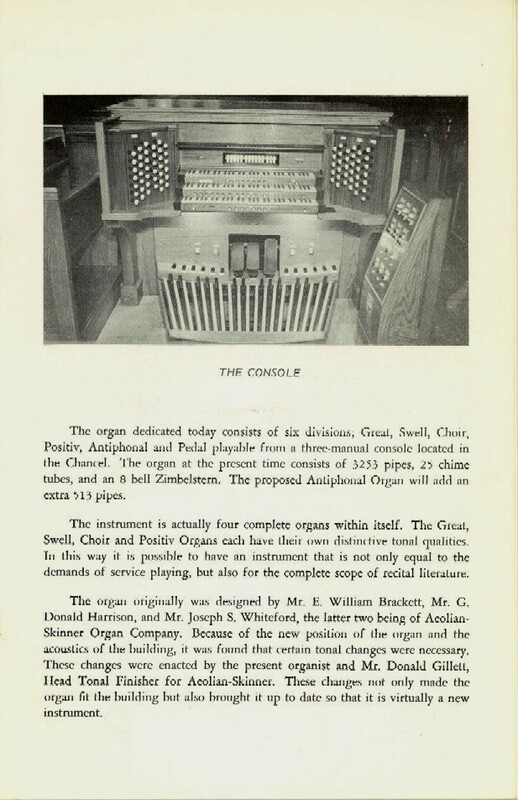 The present organ was installed as Op. 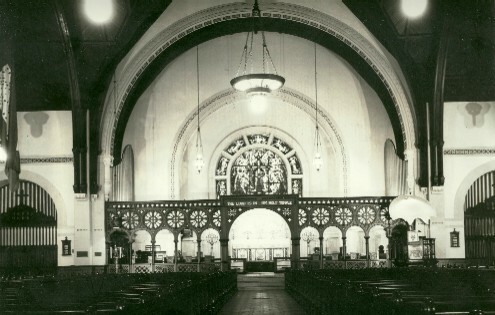 1254 in 1953. 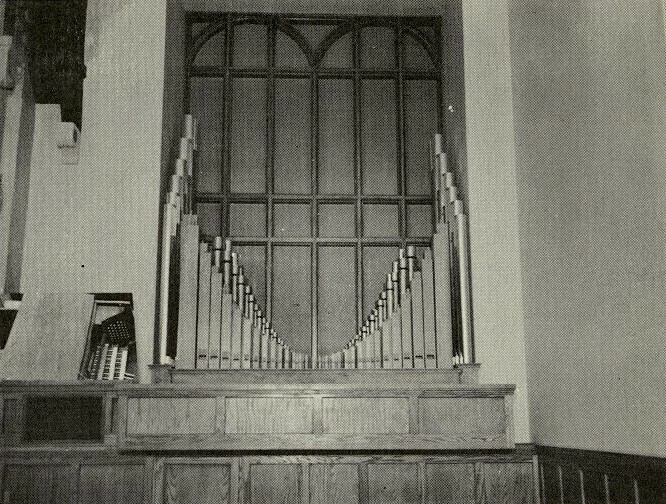 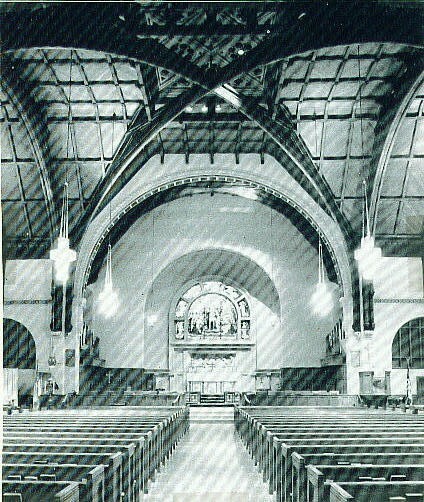 In June of 1961 the interior of the church was damaged by fire and the organ sustained damage when firehoses were dragged through the organ chamber. 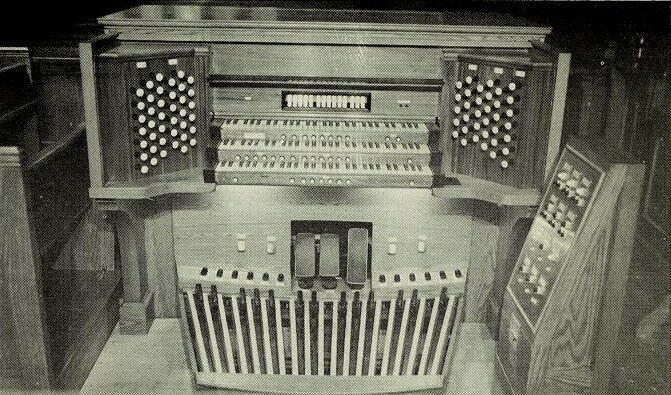 The chapel organ, a 2m Wicks opus 2093 of 1940, was damaged in the fire. 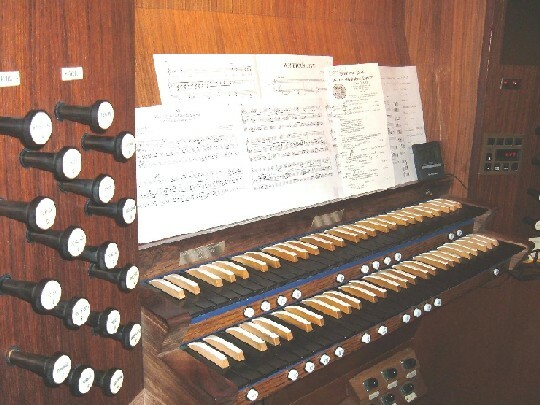 The Aeolian-Skinner was rebuilt as Op 1254-A under the supervision of Joseph Whiteford and reinstalled in chambers to each side of the chancel. 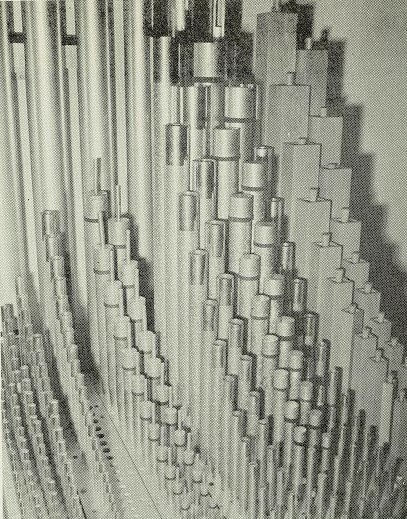 The bottom octave of the 32' Bombarde was built by Möller.